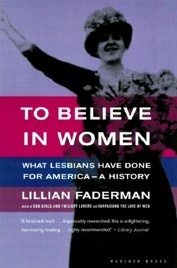 Lillian Faderman is an internationally known scholar of lesbian and LGBT history and literature, as well as ethnic history and literature. The Nation named HARVEY MILK: HIS LIVES AND DEATH Most Valuable Biography of 2018. 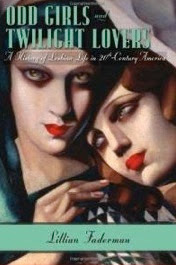 The Guardian named ODD GIRLS AND TWILIGHT LOVERS one of the Top 10 Books of Radical History. The Guardian interviewed Sarah Waters, who named SURPASSING THE LOVE OF MEN as her most formative book. The Guardian named THE GAY REVOLUTION one of the Six Top Books of LGBT Life. Faderman's work has been translated into numerous languages, including German, Spanish, Italian, Japanese, Turkish, Czech, and Slovenian. Among her many honors are six Lambda Literary Awards, two American Library Association Awards, an Anisfield-Wolf Book Award, and several lifetime achievement awards for scholarship, including Yale University's James Brudner Award, the Monette/Horwitz Award, the Publishing Triangle Award, the Golden Crown Literary Society Trailblazer Award, the ONE National Gay and Lesbian Archives Culture Hero Award, and the American Association of University Women's Distinguished Senior Scholar Award. Kirkus* "Faderman does a fantastic job at reanimating a story that reminds us that people can be truly tolerant—with the exception of the few—and that, with will (not money), anyone can effect change. 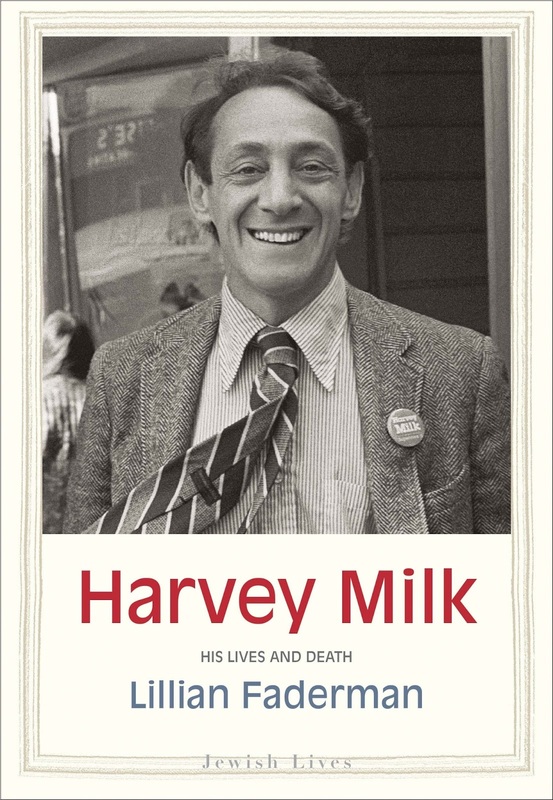 Harvey Milk as seen through fresh, highly knowledgeable eyes." San Francisco Chronicle "A stirring account.... Faderman succeeds in painting a multifaceted portrait of a complicated man, in less than 300 pages. Milk was a famously exuberant, theatrical figure, but anyone relating his story needn’t be as effusive as he was: Faderman elicits the drama of his life dispassionately, and with understatement." Tablet "elegantly written and well-researched"
Washington Post "Harnessing her perspective as a lesbian scholar and Jew born in New York City just a decade after Milk, Faderman’s sensitive contextualization of his life illuminates that his great humanity, as well as his successes and failures, were very much entwined with his Jewish identity." "Meticulously researched and beautifully written, Lillian Faderman’s Harvey Milk is a revelation. This insightful work provides context to Milk’s life as a gay icon and illuminates how his experience was deeply informed by his own Jewish identity." The Washington Post "This is the history of the gay and lesbian movement that we’ve been waiting for: compulsively readable, carefully anchored in the historical record, overflowing with riveting stories, human peculiarities and thoughtful analysis of the messy political contradictions that dogged this untidy movement. 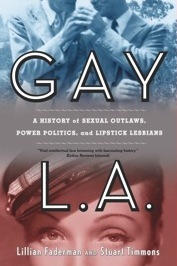 Other books have purported to explain how the unruly LGBT movement triumphed. THE GAY REVOLUTION succeeds." The New York Times "To read her is like viewing the AIDS quilt, which overwhelms the viewer with the care taken in each of its numberless panels. Any revolutionary would be lucky to stand in a light so steady, so searching, and so sure." The Economist "Ms Faderman has ably drawn the map that future historians of the struggle will use to chart their courses." 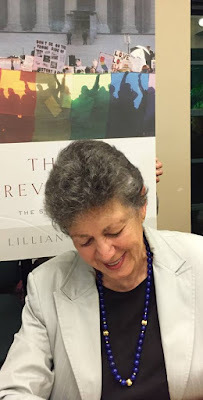 Huffington Post "The Gay Revolution is a cogent, definitive history of the movement and a towering achievement by Lillian Faderman. It belongs in every GLBTQ home, definitely available in every public school library and sent to every homophobic politician in Washington." Kirkus* "Inspiring and necessary reading for all Americans interested in social justice." Publishers Weekly "Faderman’s immense cultural history will give today’s LGBTQ activists both a profound appreciation of their forebears and the motivation to carry the struggle forward." Library Journal* "...this volume will deservedly become a standard in the field." "This book is destined to be one of the lasting contributions to the literature of the gay rights movement." Lambda Literary "...monumental scholarship. A must read." The Advocate "...the most honest, compelling history of our movement." The American Prospect "The Gay Revolution will equip readers with a greater knowledge of the movement’s history, and an appreciation for the crucial role of individual acts of courage in winning and safeguarding equality. 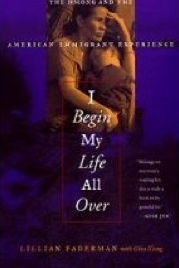 And it’s a great read." "I am large, I contain multitudes," sang Whitman, and it's the unprecedented compiling of multitudes of individual stories, journeys, acts of courage, stands of defiance, failures, and advances that distinguishes Faderman's sweeping history of transformation. So many people over so many years, each doing their part and propelling forward the epic change that has turned a despised and often hidden minority into a visible and triumphant engine of America's civil rights promise, claiming the vocabulary of love and marriage and freedom. 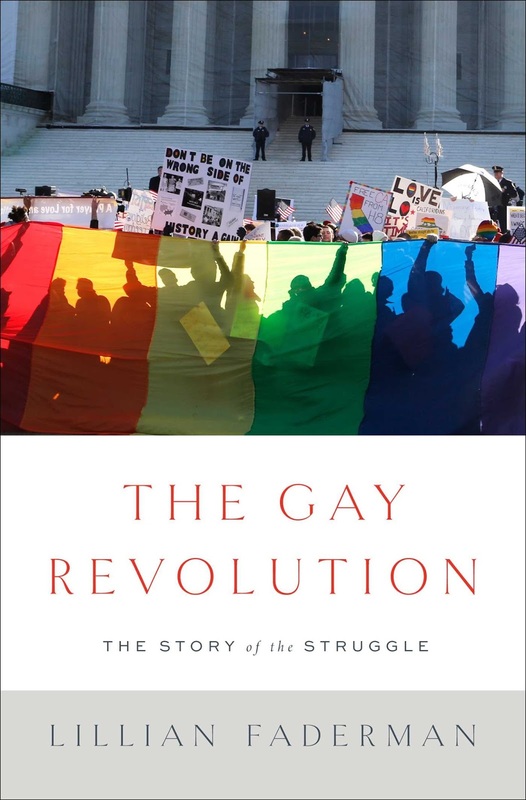 The Gay Revolution fills a yawning gap in history literature, providing readers for the first time with a history of the entire LGBT civil rights movement, from its inception in 1950 up through the current day. The arrival of this new work is timely, coming just as our country seems poised to recognize the events Faderman recounts as legitimate and important American history. Anyone who reads Faderman’s passionate narrative will recognize it as a story that ennobles the human spirit and upholds the democratic ideals at the heart of this country’s founding documents. The Gay Revolution is an extraordinarily well-documented and thorough back history of how gay equality is moving toward reality. Unless you were there in the 1950s and 60s you might think that the Stonewall riots occurred spontaneously. Instead, The Gay Revolution documents the momentous effort to decriminalize homosexuality and humanize homosexuals. There were gay warriors rattling swords long before gays were allowed to serve in the military. There were fledgling organizations created to unite the gay community for the common effort of equality. This book describes our collective history, which was not a homogenous effort but amazingly has moved us toward marriage equality and social justice. 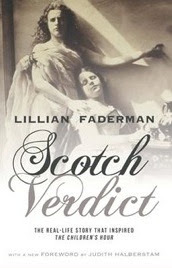 Lillian Faderman has delivered the comprehensive account of one of the most extraordinary social movements in modern history. As gay people approach equality under the law, Faderman charts the course that brought such remarkable change so swiftly. It's a dynamic book that matches the power of the movement it describes. The Gay Revolution is the definitive history of the gay rights movement in America. 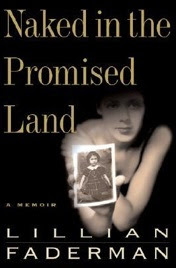 This book will play with your emotions as Lillian Faderman takes the reader on a roller coaster ride of the victories and sacrifice made by the LGBT community and its allies to arrive at this point in time. This is the story of civil rights for the 21st century! Lillian Faderman once again shows why she is the definitive voice for gay and lesbian history. This book is a "must read" for anyone who wants to know the stories behind the brave faces that have created a new civil rights movement. The Gay Revolution will be the standard by which all subsequent histories are measured. The fact that it is written in clear English is in itself a cause for celebration. My mother kept no secrets from me about her strange and difficult life before I was born. 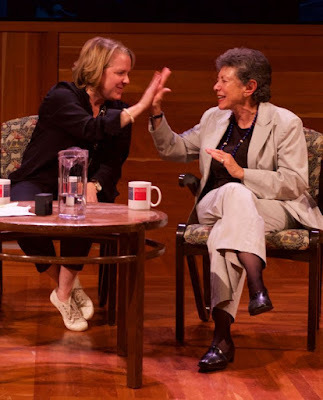 For most of my growing-up years, she and I lived together in a single furnished room, “by a missus,” as such living arrangements used to be called. I think our symbiosis was probably much more powerful than the usual between mother and child because most of the time there was no one but the two of us, no other presence to distract or divert. The intensity of my focus on her was compounded, I imagine, because our daily life was played out in the space of no more than ninety square feet. In that tight proximity, she told me things because she had no one else to tell them to. I saw things because she had nowhere else to go and hide. I struggled to understand things because she was my constant care and study and love. But the older I got, the less I understood. In the glorious hope and brashness of my young womanhood I knew only that the choices she’d made, which had brought her, and me along with her, to that lonely, airless furnished room of my childhood, had been incomprehensibly foolish, and that her mistakes would never be mine. Thirty years after my mother’s death, my young-womanhood long gone, a sadness suddenly came upon me with the thought that though I’d known all her secrets, I hadn’t known her. I think that sadness was triggered because I’d been trying to relearn Yiddish, the language I usually spoke with her before I started going to school; and in a book I’d bought in order to practice reading in Yiddish, I came upon a lullaby by the writer Sholem Aleichem; it was one I remembered her singing when I was a child. Zingt a lid un veynt. Singing a song and weeping. 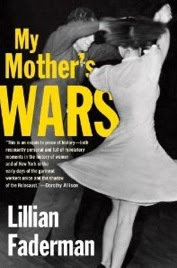 My Mother’s Wars is my attempt to understand. "A welcome and needed history . 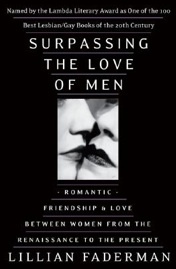 . . above all because it makes us understand what is involved when women choose to love women." 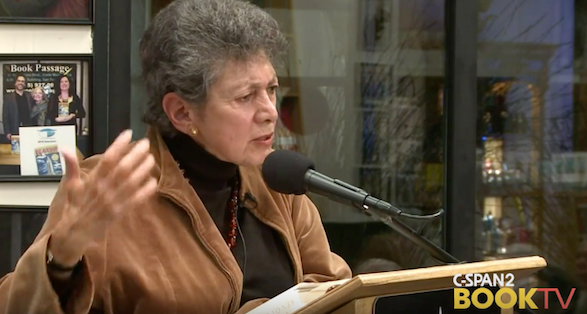 "One of the most significant contributions yet made to feminist literature." "Instructive and humane . . . a powerful summons to the conscience." 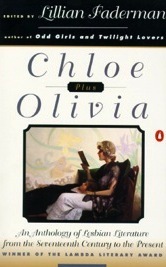 "Remarkable for its rediscovering of text and also for its study of feelings that we no longer find in our societies." "A well-documented, fascinating, and controversial source of material for women who have always known that other women are natural allies."